FTO Papua New Guinea Purosa is grown in the Eastern Highlands, specificall Ivangoi, Purosa and Okapa valleys by over 3,000 farmers and certified as FTO through the Highland Organic Agricultural Cooperative. The majority of farmers here grow their varietals in small gardens within their tribal villages, which have for centuries largely kept intact their individual languages and customs. 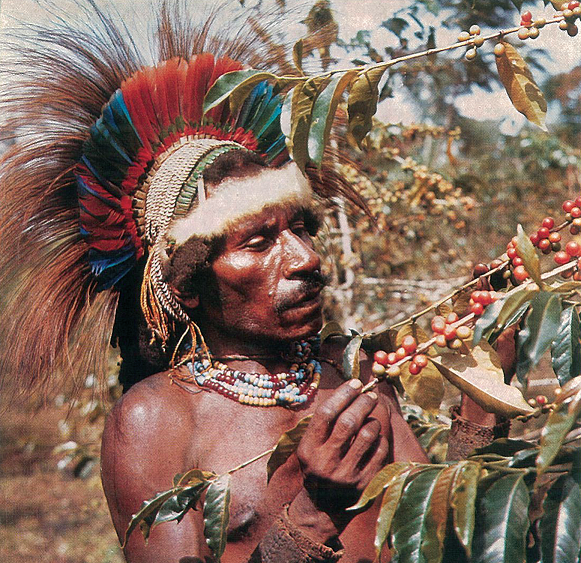 Some of the trees which produce this PNG are 25+ years old, producing less fruited cherries, but also a higher sugar content than younger crops, which translates to a sweeter and more complex cup. The lot is pulped and dried in parchment then loaded on trucks to make the muddy trek down dirt roads to Goroka where it is milled, graded and bagged. Exporting is done through the Port of Lae, which is the country’s largest and busiest port.